You Can Never Forget Your Friend&#39;s Birthday In Orkut ! You Can Never Forget Your Friend's Birthday In Orkut ! Orkut is keen on developing how-to-send-scrap-automatically-in-orkut/">another end called Upcoming Birthday, which is one of the most popular features ever they have introduced. However, this feature won’t give you all the information you want. Normally it lets the users know the birthdays come up in the next couple of weeks, at the same time you have to how-to-send-testimonials-to-your-friends-in-orkut/">notice the passed birthdays and the ones coming further down the line. You can now know the birthdays of your how-to-disable-the-orkut-themes-in-greasemonkey/">Orkut friends for the whole year. 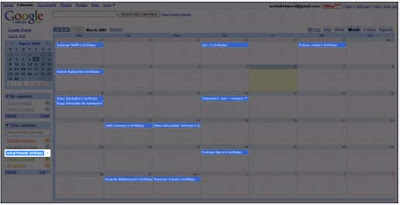 If you are using the calendar before you can see a link right below the “Upcoming Birthdays” section where you can add your details of birthdays of your Orkut friends to the google-chrome-theme-in-firefox-chromifox/">Google Calendar.